ORDERS WILL BE COLLECTED FOR FREE DISTRIBUTION BY THE COLLEGE SO PLEASE SELECT COLLECT IN STORE OPTION AS WE WILL NOT BE POSTING OUT. 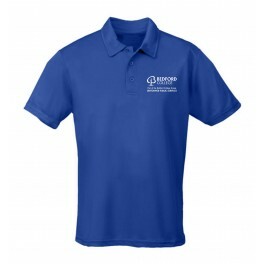 s - 38" M - 40" L - 43" XL - 45" XXL - 48" 3XL - 50"
Uniformed Public Services polo shirt. 100% polyester wick away material, embroidered logo to left breast. AWDis’ own Neoteric™ textured fabric with inherent wickability and quick drying properties. Self-fabric taped back neck. Set-in-sleeve design. Self coloured buttons. Twin needle stitching detail. Self fabric collar with 3 button placket. UPF 30+ UV protection. Worldwide Responsible Accredited Production (WRAP) certified .